OSNAP is an international program designed to provide a continuous record of the full-water column, trans-basin fluxes of heat, mass and freshwater in the subpolar North Atlantic. The OSNAP observing system consists of two legs: one extending from southern Labrador to the southwestern tip of Greenland across the mouth of the Labrador Sea (OSNAP West), and the second from the southeastern tip of Greenland to Scotland (OSNAP East). The observing system also includes subsurface floats (OSNAP Floats) in order to trace the pathways of overflow waters in the basin and to assess the connectivity of currents crossing the OSNAP line. 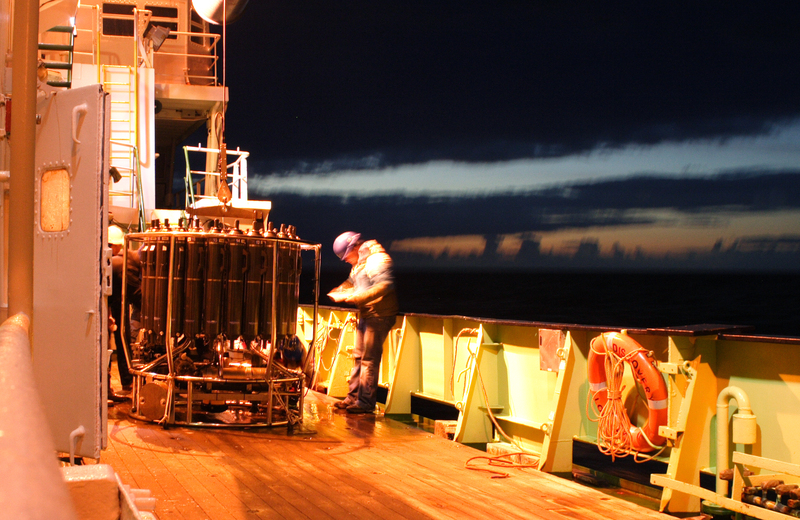 My role in the OSNAP program will be to investigate how and where the warm water flowing northward in the upper ocean is transformed into the cold water flowing southward near the seabed.